Are you ready to change the way you and your organization approach complex challenges? The intention of the Academy is to build capacity through participation in a facilitated social lab process. 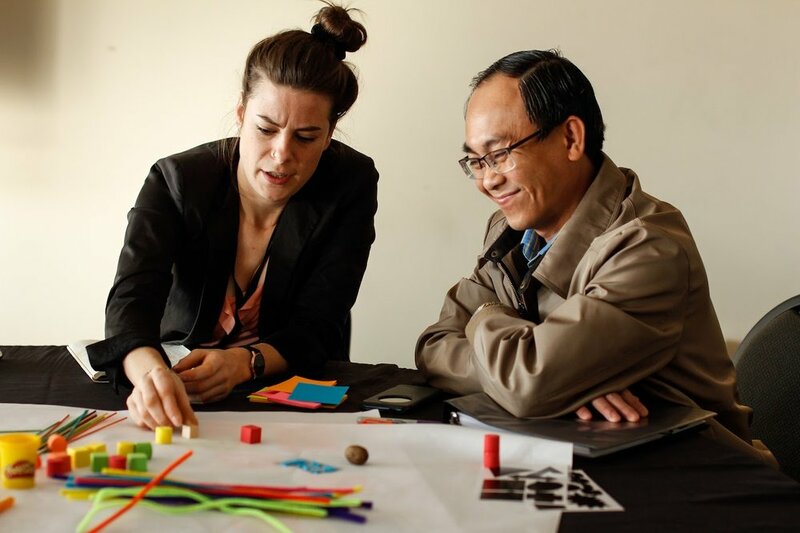 By going through the process of working on a complex problem, you will learn about the nature of social innovation as well as some potential next steps for tackling your challenge. The goal is to enable your team to communicate the importance of your challenge and to ask for further support for development of prototypes or other initiatives that were uncovered throughout the process. Do you feel like you’re ahead of the curve in your organization? Do you consider yourself an early adopter of the newest trends in social innovation? Do you know of others across disciplines who would be willing to work with you on an issue that matters? Then we invite you to apply for the Academy! As happened last year in 2018, the entire Academy will be held over 5 days. Inspired by the Google Sprint methodology, teams will arrive with a pre-developed challenge and the NouLAB team will equip them with new approaches to solving that challenge. The immersive experience will allow teams to dive deep on what needs to change to make rapid improvements to their issue. 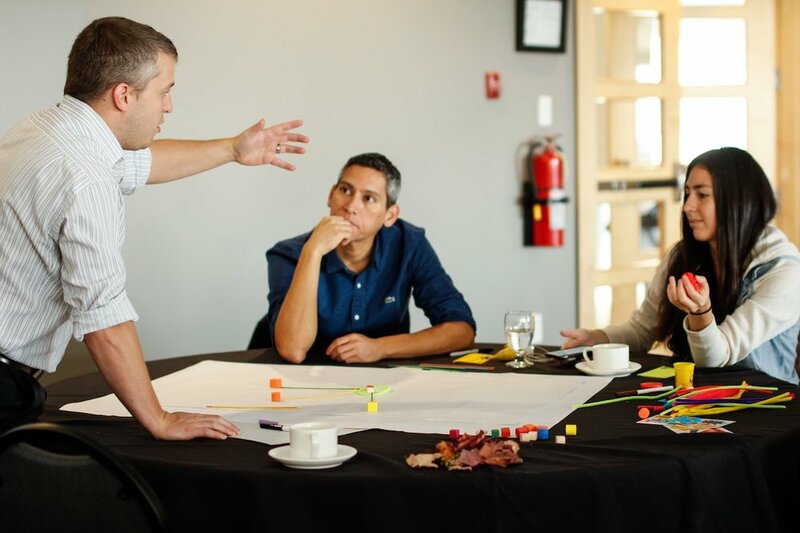 The connections made during NouLAB processes have proven invaluable to improving how business and government connect and work. Academy participants will leave with a ‘toolkit for change’, filled with methods and resources, as well as a community of practice, new perspectives, ideas and mental models, and a prototyping mindset. Work on a problem important to them with other engaged stakeholders. A new framework based on systems thinking, user-centred design and multi-stakeholder approach to tackling problems. March 29th: Applications are (still) open (for one team)! Think about the issue you want to work on and start putting together a team of 4-7 people. Look for folks also impacted by the issue but who come from different labour/social sectors to yourself. Be sure to contact the NouLAB team if you need any advice or have any questions about putting together a strong application. May 27th - 31st: Academy week - location to be determined. Veuillez noter que cet atelier se tiendra en anglais, mais une autre académie se tiendra en français à l'automne 2019. While we don’t want cost to be a barrier to participation, there is a value and cost associated with running such a program. Therefore we have developed a tiered cost structure with scholarships available for those in need. Ally Price $2,000 - Cover your spot and help support our scholarship program. Regular Price $1,500 - Our funders have made it possible to offer this program at a reasonable price. Discount $1,000 - A discounted price for those working in non-profits and those with tight budgets. *All costs include workshop materials, snacks and lunches during the program. Participants are responsible for covering their travel to the Academy, meals not offered during the workshop, and accommodations. Jeanne Brideau shares her biggest takeaway from the Academy process. Beth Lyons, Executive Director of the New Brunswick Women's Council, shares her experience of rewarding challenges.